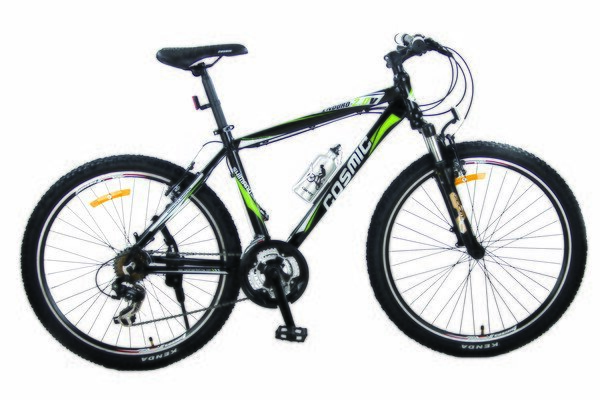 These offers are free with the purchase of the Cosmic Enduro 2.0V (2014) Bicycle. 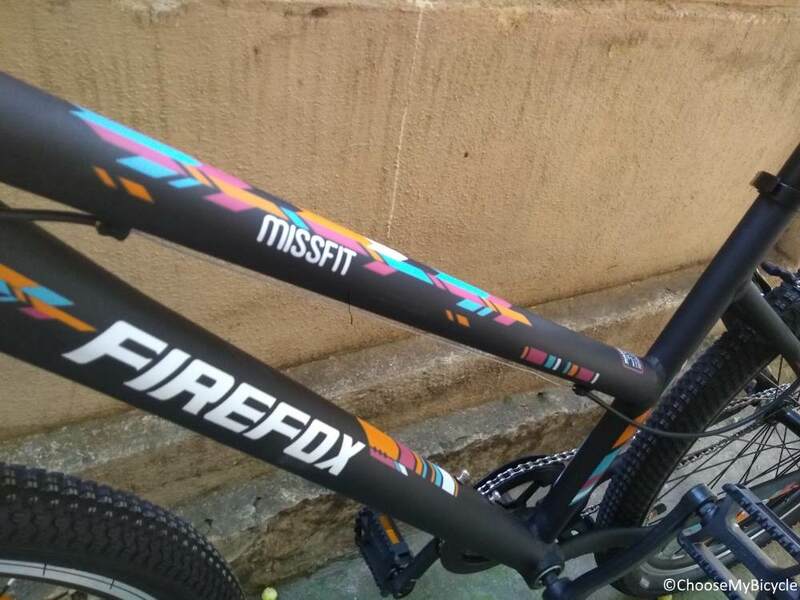 The Cosmic Enduro 2.0V (2014) features an 18" alloy frame that is sturdy and lightweight. The Cosmic Enduro 2.0V (2014) comes equipped with a Shimano Tourney Drivetrain whose shifting is controlled by Shimano Altus Shifters. The Cosmic Enduro 2.0V (2014) has a Zoom suspension fork with 60mm travel. 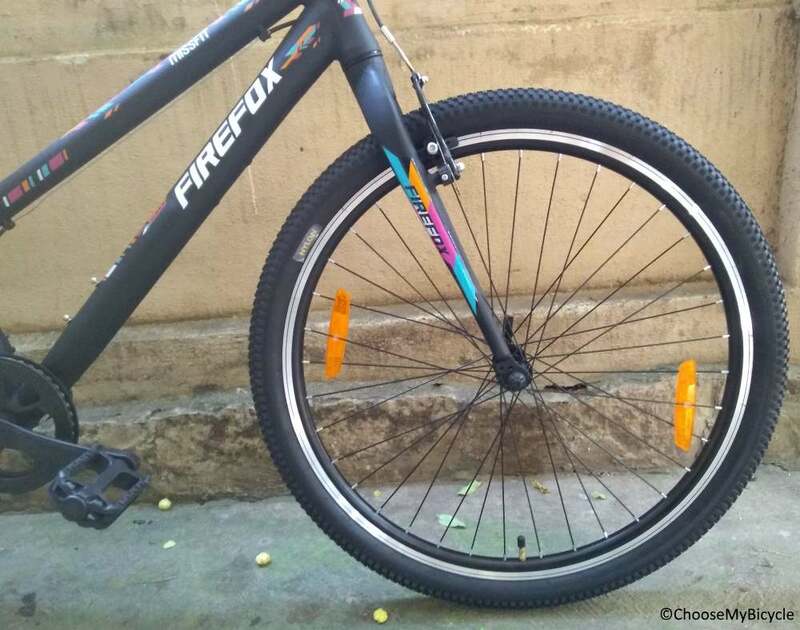 The Cosmic Enduro 2.0V (2014) has Kenda 26 x 2.1" tires fitted on black, double-walled Alloy rims. 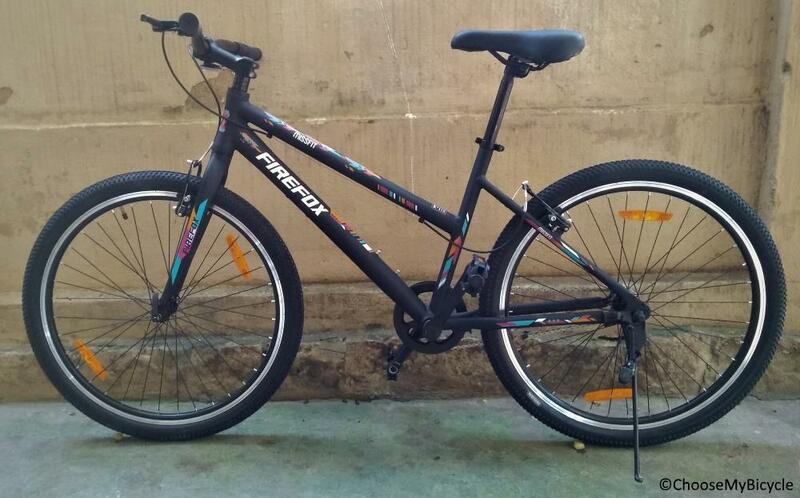 The Price of the Cosmic Enduro 2.0V (2014) is Rs.21500. 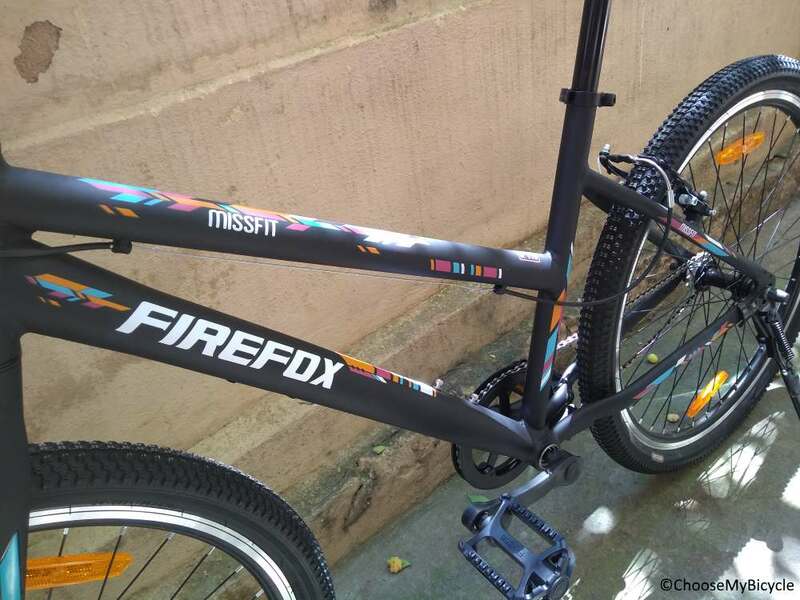 The Cosmic Enduro 2.0V (2014) is an entry- level MTB with value for money components.It is an ideal bicycle for riders looking to tackle mild trails and bumpy roads. 2. In what condition will I get the Cosmic Enduro 2.0V (2014)? 6. 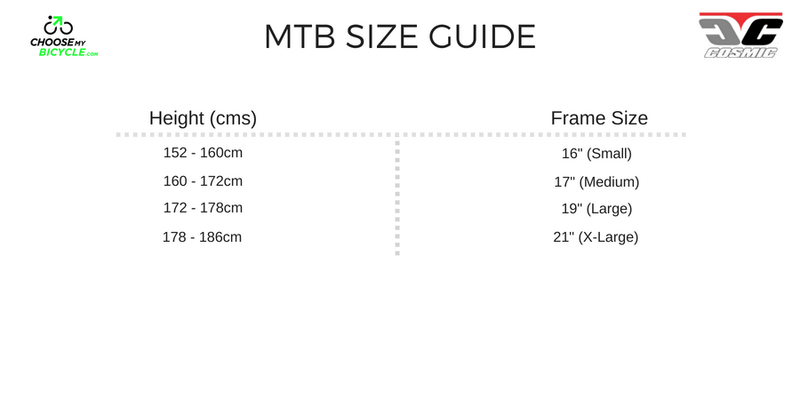 How will I know if Cosmic Enduro 2.0V (2014) will fit me without riding it? 7. 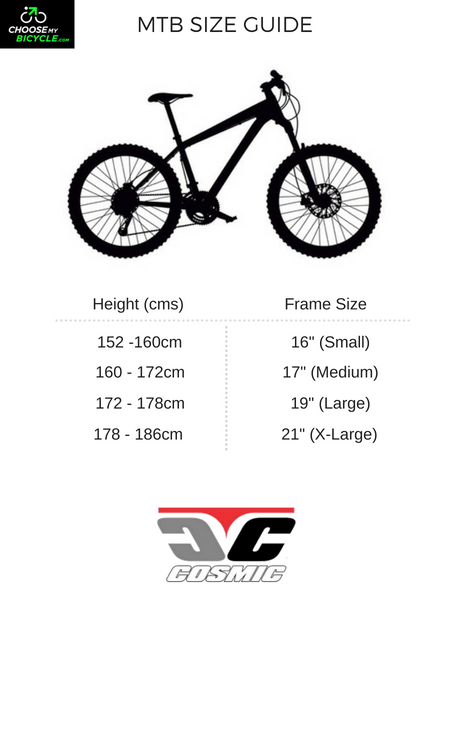 How long will it take for me to receive the Cosmic Enduro 2.0V (2014)?